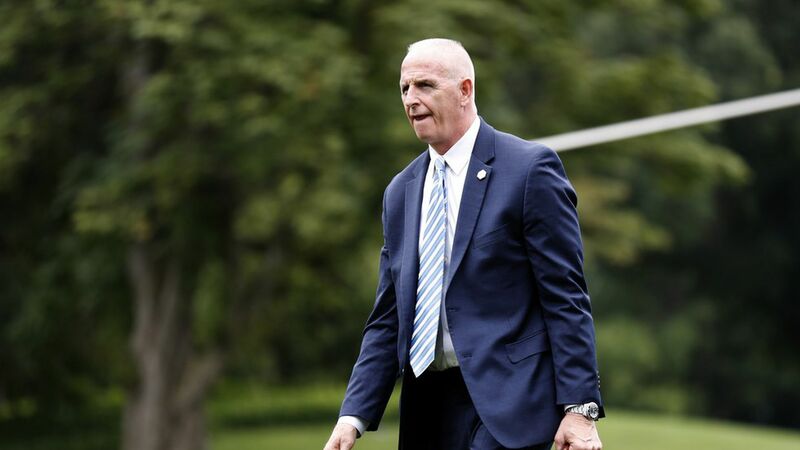 Keith Schiller was never just a bodyguard. He's worked for Trump since 1999 and in nearly 20 years has become one of a handful of people outside of Trump's immediate family that the president truly trusts. Now he's leaving the White House, and Trump's friends worry about the effect Schiller's absence will have on the president's psyche. Trump believes Schiller "tells him the truth because the only dog he has in the fight is the boss," a friend told Axios. Trump confides in Schiller and asks his advice about everything, including policy. Schiller, a former NYPD officer who is beloved by the original staff from the Trump campaign, is also a Breitbart-style conservative who kept Trump in touch with the Republican base and with the law enforcement community. "He's a winger! He's one of us," said another friend of Schiller's. For the past eight months, Schiller has been the conduit linking Trump to his old life, and old friends, in New York City. In the early, freewheeling days of this administration, Trump's old contacts had a method for getting around the Chief of Staff, Reince Priebus: If they wanted to reach Trump, they'd text Keith, and before too long they'd often receive a call from the president. As Director of Oval Office Operations, Schiller oversaw what some aides regarded as a "shitshow." Nowadays, General Kelly tightly polices, and lists, who can visit the Oval; but Schiller operated more or less by gut instinct. He had a feeling for what Trump wanted at any given moment, whether the boss would want to see this person or whether he was in the right mood for visitors. Schiller has talked to associates about leaving for a while. He'll make more money on the outside, and under the Kelly regime, and with so many people by his side these days, Trump has less use for Schiller, operationally. Emotionally... that's a different story.